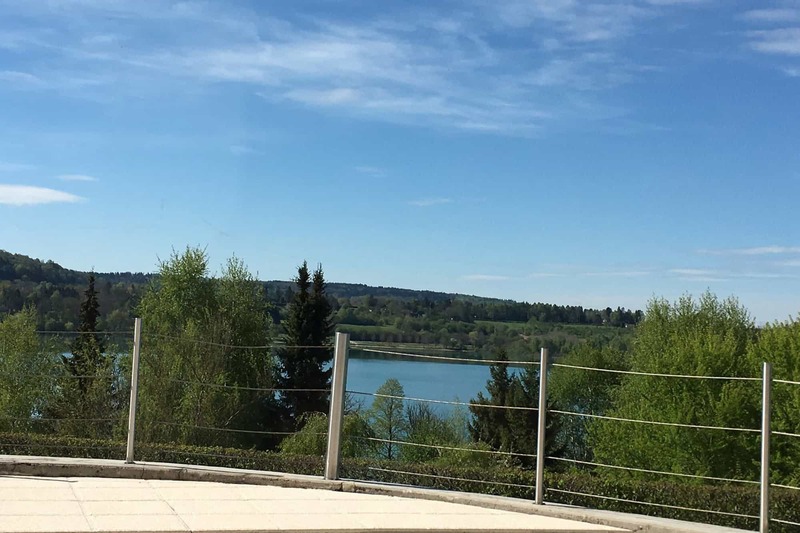 The large patio has a surface area of 100 m2 and due to its southern exposure, benefits from optimal sunshine all year round. 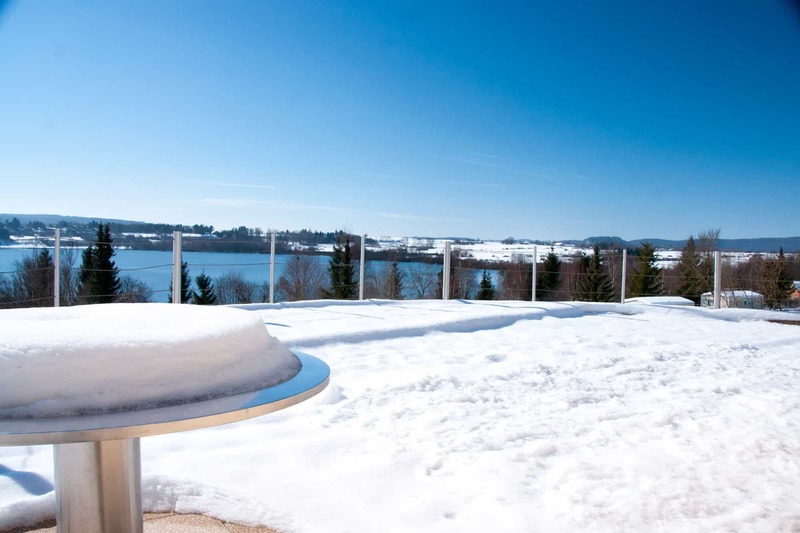 The patio offers a panoramic view of the western part of Lac de Chalain. An outdoor table on one side of the patio allows for outdoor dining during the warmer months. You can grill your meat, vegetables, and catch of the day from the lake on the plancha grill. A large sliding glass door allows for easy access between the patio and the kitchen.